NOTE: I'm currently creating an online course for parents to use while their child is in treatment. 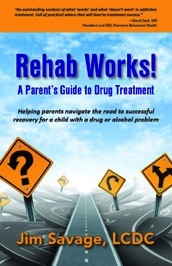 Based on my book "Rehab Works! A Parent's Guide To Drug Treatment", the program will give parents tools to provide more effective support by being more engaged in the treatment process. It will be presented in an interactive format that takes parents through a series of videos, written material, worksheets, and tasks that complement family programming at their child's facility. Because I'm so impulsive, I always want to share things before everything's done, and here's an example. The following is the script from one of the videos I'm in the process of making. 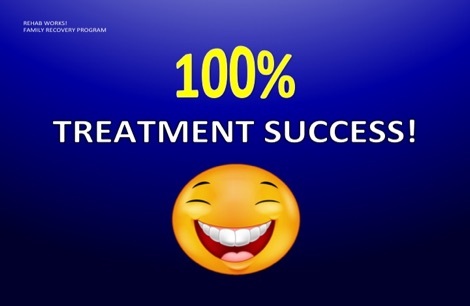 While this is just one of many short videos included in the course, it succinctly presents some of the key elements I present with regard to achieving treatment success by avoiding common pitfalls that lead to a shaky foundation. Two important points we'll identify right off the top as far as using the Stages of Change Model for helping clients move through the recovery process. First, it provides a realistic perspective of how long the process really takes. Say for example, just the point about the Action Stage lasting 3 to 6 months—that's a really long time. Especially when there's a tendency for a lot of young people to think that just because they've had a good attitude for a couple of weeks, they're fixed. They think they're in the maintenance stage when the reality is they haven't even scratched the surface of their Contemplation stage. And then you've got to realize that that 3 to 6-month period of the Action stage doesn't even begin until after the contemplation and preparation stages have been completed. And that could take a couple of months in and of itself. And that leads us into a second important point about the Stages of Change: You can't skip stages. In virtually any case of relapse or failed treatment, you can almost always go back and pinpoint where the problem occurred, relative to how thorough their work was in each of the stages. And the fact is, most of the problems occur in either the Contemplation of the Preparation stage. So for example, the number one reason for treatment failure is premature withdrawal from the treatment process. That's quitting before you're done. And there's two common statements that parents will sometimes hear when a kid's getting ready to relapse, or maybe already has. Say for instance you've got a kid who's completed residential treatment, is back home now, and they're doing IOP. And after a few weeks of, the pink cloud's sort of wearing off, she's starting to get a little tired of all the rules, and all the meetings she's supposed to be going to. And there's a little squabble here, and there's an argument about something on her home contract there. And things are getting a little more tense around the house. And then one day she blows up, and she says, “Screw all this! I never believed I had a problem to begin with.” Even though she was saying that when she discharged from residential. One of the things we've got to be careful of is not rushing them through the process too quickly, and regarding them as being further along in the process than they really are. It's not really that difficult to get them to the point of saying that their drug use is a problem, and agreeing to attend a few meetings, or go to IOP after they get out of residential. Both these statements show how important it is to make sure they're solid in these areas, because that goes directly to how thick the foundation is that we're building. In a lot of cases treatment centers have insurance companies breathing down their neck to move clients through faster than we'd like. And what ends up happening a lot of the time, is we fall into a trap of assuming that the client's further along than they really are, or that they're at least going to get there if we just start treating them like they're there. And then we just end up in power struggles, because we're expecting them to be demonstrating Action stage behavior, when—if their Preparation work was thin—they may have agreed to a plan without having a good understanding of what was going to be involved. Or, if their contemplation work was thin, and they're not convinced that they have a problem, then they have no reason to follow a plan. And we all end up banging our head against the wall, because we're expecting them to be further along in the process than they really are. Now, there's nothing wrong with a client for being wherever they are in the process. Even if you have to carry this over to the next level of care because insurance or finances are dictating the process. It's better to stay focused on the contemplation or the preparation until you know for sure that this is solid. That's how you make sure you're building a foundation that's ultimately going to support long-term recovery.